PelGar launches new brand identity at Pest Ex 2019, bringing the full range of rodenticide and insecticide products available from PelGar under one distinct brand so that customers can find them quickly and easily. 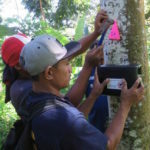 Supporting local and national projects, under its Conservation in Partnership initiative, is part of PelGar’s strategy to provide products and expertise to campaigns in the control of nuisance pests and vectors of disease. PelGar International is delighted to welcome Sandy MacKay as the new Head of its Technical Department, taking over the prestigious technical lead from company co-founder and Director Dr Jonathan Wade. 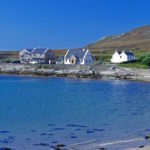 PelGar International has appointed Anna Wilson-Barnes as Marketing Manager, taking over the marketing function from Nic Blaszkowicz who will be concentrating on UK & Eire business management. 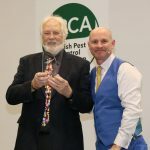 PelGar International was winner of the ‘Best Global Pest Control Products Provider 2018’ in the UK Enterprise Awards programme run by SME News magazine. PelGar has been active with a new Conservation in Partnership (CiP) initiative on the island of Samoa. The Manumea, is the closest relative to the Dodo and is only found in Samoa, but there are now estimated to be less than a few hundred birds left. PelGar International has received approval in New Zealand for its natural insecticide product – PyGar. 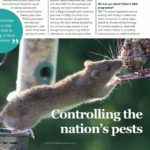 In a recent article published in International Pest Control July/August 2016, Alex Wade, Technical Manager, PelGar International explains that there are different types of resistance. PelGar International has announced that its new insecticide product Cimetrol Super is now available from stockists. The newly launched Cimetrol Super is the next generation of product for the control of insects and is better than ever. 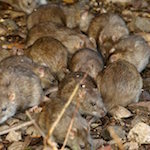 PelGar International has announced the acquisition of AB Bait, the sales and marketing group for Brigand rodenticides in the USA. The North American business will operate under the PelGar USA brand. A Company Profile about PelGar International appeared in the November / December 2015 issue of International Pest Control magazine. In the August 2015 issue of PPC magazine Nic Blaszkowicz outlines the implications of the forthcoming insecticide product withdrawals. 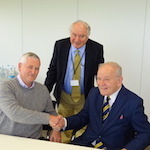 In May 2015 PelGar International announced the acquisition of pesticide manufacturing company Agropharm Ltd which has manufacturing and packing facilities in Telford, Shropshire. PelGar International announces the winners of its 2015 PhotoRatic competition. Judging was made with the help of the editor of Pest Magazine. 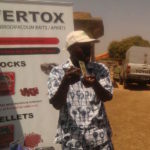 PelGar International supplies both rodenticide blocks and pellets into the Burkina Faso which are distributed by Prophyma, the local subsidiary of Savana based in Bobo Dioulasso. 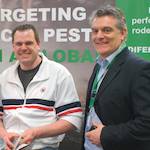 James Heffernan from Ackill Pest Control explains how PelGar products helped with a very tricky pest control problem. The story was told in the July and August 2014 issue of Pest magazine. 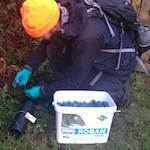 In 2013 PelGar International became a part of a unique rodent eradication programme was set up on the Isles of Scilly to protect and enhance the islands’ seabirds and protect them from re-invasion of rats.